During one of my Path To Heal sessions last week, it came to me that we humans are much like moths. We like to fly to the light . 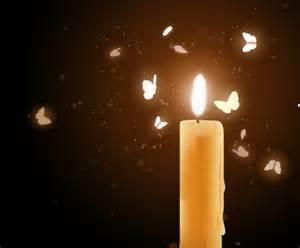 The Light is what we are attracted to, just like moths fly to the Light. When we shine our Light for others to see (and feel) it, we draw people to us in both our personal and business lives. 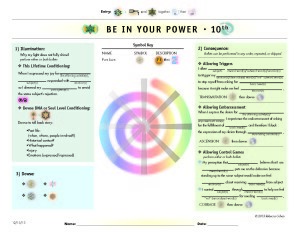 During one sessions, the 10th dimension came up which is all about 'Why we have dimmed our light". It identifies an occurrence in this lifetime that caused us to shut down a bit so we could not shine our light to our full potential . When we dim out light, less 'moths' fly to our light. My client was holding on to being disorganized, which was keeping them from finding their passionate life affirming work, and as a result feeling empty and searching. The Path To Heal session helped them focus more without distractions. Another client today, also had their light dimmed but for a different reason. But this was keeping them from finding more play and joy in their work . They were holding on to worrying about what others think about them, despite their desire to be authentic and creative. It feels almost humiliating to have fun while at work....not because any of us consciously think work should not be fun, but we are programmed subconsciously as humans to think that success requires hard work , not fun. Work should be play and you should be able to find work that feels like play ! But we have to break free from the mis-perception that we do not deserve fun or be embarrassed when we do have fun and call it work! When you are aligned with your passions, you can create a business around those passions and exude your joy, happiness and Light. People (clients), like moths, are attracted to you and your bright light . If you struggle with finding your passionate life affirming work, or fun and play in your work, or finding work which makes your heart sing (and is aligned with your soul purpose), a Path To Heal session can help eliminate the blocks or subconscious fears to creating that life affirming work with financial freedom . You can then create opportunities that match your deepest desires. You can find clarity in what it is you are truly looking for and connect with your inner passions, your heart's desires and shine your light more brightly. Things will start to happen synchronistically. Opportunities will be on your radar screen because we eliminated the blinders. They may have been there before, but you did not see them on your dimmed radar screen, or the screen was made so small, nothing could could be seen on it! The Path To Heal creates a larger radar screen, with a brighter light, for clearer viewing by elim inating the interference (usually fears, guilt or shame based). It helps you shine your light, so the right work opportunities come to you , like moths flying to the light! Another client was having drama around interviewing and working with a recruiter. The recruiter altered the resume which did not align with my clients desires. Work they could find resulted in much drama. Some were aligned with their passionate life affirming work, but most situations were challenging and unbearable. During the session, we uncovered and cleared a deep rooted fear.....that life without the drama would be boring! They needed drama to overcome in order to be victorious. We really can be victorious without the drama! I just got a text saying the perfect opportunity has just come to them...without the help of the recruiter! woohoo! This really does work! Is your light fully shining? If it is not, a Path To Heal session or package may be in order to clear the subconscious fears and negativity so you can shine your light. And start attracting the things you want most into your life! 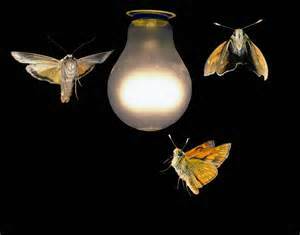 We want moths flying towards our fully bright light! Call Joanna at 215-272-6774 to get started today!